This holiday home with two cosy and conveniently furnished holiday apartments are situated in a central but a calm location. This holiday home with two cosy and conveniently furnished holiday apartments are situated in a central but a calm location. Shops and restaurants are reachable by walking and the beaches are accessible by cycle. There are various leisure time activities such as fishing picnics, swimming trips and the Brijuni National Park. This beautiful modern apartment is made from brick or stone and was built in 2000. The agent has rated it as a four star property so it is a well-equipped apartment with above average furnishings. It is also great value for money. The apartmentIt is located in Medulin, only 10km from Pula. 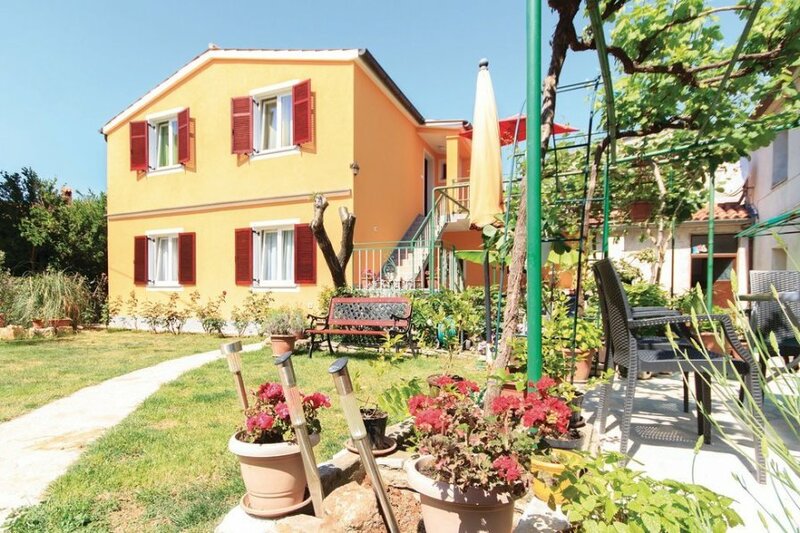 It is set in a very convenient location, just 800 metres away from a sandy beach. There's also a restaurant only 100 metres away.